Many physicians choose to specialize in a particular patient group or area of the body… but family and general practitioners work with patients of all ages and a broad range of conditions: from delivering babies and providing check-ups for school-age kids, to caring for older adults with chronic conditions. Family doctors— also called general practitioners or GPs— work in settings such as physicians’ offices and hospitals where they see patients for acute care and general health maintenance. They diagnose injuries, prescribe treatments, order tests, and interpret test results. 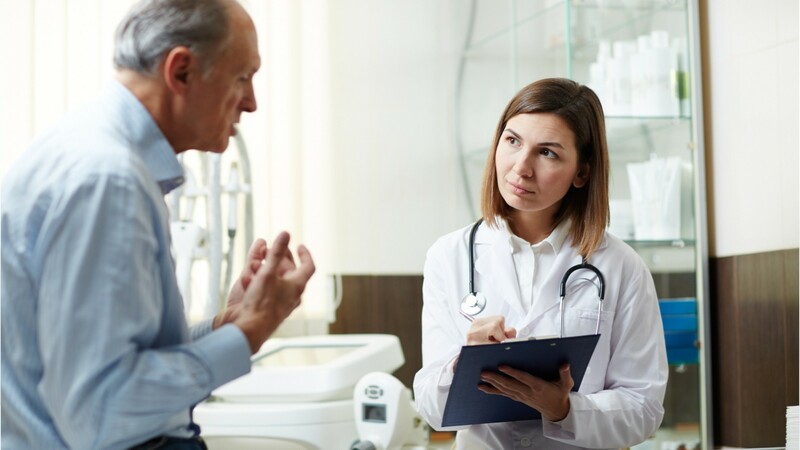 Communication skills are essential in this field, as family doctors need to explain potentially anxiety-producing procedures and discuss test results with patients. Some GPs have surgical skills and perform procedures such as biopsies and vasectomies. In more rural areas, family practitioners have even broader duties, ranging from removing an appendix to delivering babies via C-section. They sometimes care for their patients when they are in the hospital. GPs frequently consult with other doctors, and refer patients to specialists when needed. Family practice doctors complete four years of college, four years of medical school, then a three-year residency in family medicine. Those who continue into specialty fields may train for an additional one to three years. See more details at O*NET OnLine about family and general practitioners. Family & General Practitioners by U.S. Department of Labor, Employment and Training Administration is licensed under a Creative Commons Attribution 4.0 International License.